I just did a Google search: SAP now has more than 27,000 HANA customers. One of the reasons for SAP’s success is because enterprises have the flexibility of deploying HANA in the cloud or on-premises. With a goal of simplifying life for HANA customers, Cohesity just released a certified integration with SAP HANA. The integration allows the SAP Basis Admin to keep using the existing SAP processes and tools while providing backup admins with a simplified approach to protect HANA’s data, whether the data is in the cloud or on-premises. 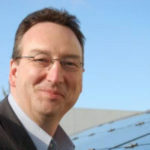 SAP HANA provides a radically different application architecture for the cloud, but what is not different is that customers still implement and operate SAP systems in a silo: The SAP IT organization. Within this silo, the same data is copied into different systems, which are managed by different SAP specialists, often using different tools, creating yet more silos. An example of this is the extraction of transactional data out of the ERP application into the SAP Business Warehouse. An SAP executive calls this problem data entropy, because it is so difficult to extract more value out of the data. SAP is addressing some of those challenges by converging the Business Warehouse with HANA and by providing real-time analytics in HANA. At Cohesity we are very familiar with this challenge as well. We refer to it as mass data fragmentation – we frequently write about mass data fragmentation and its consequences on this blog. While SAP solves the problem of fragmented transactional data, Cohesity is solving the challenge for the secondary data that represents about 80% of your data volume. To understand this better, let us first dive into HANA’s architecture and HANA’s secondary data a bit more. HANA is an in-memory database that allows you to process massive quantities of data in main memory for maximum performance. While transaction processing completely takes place in memory, HANA relies on persistent storage so that you can return the database to its last consistent state after a reboot, in case you suffer a power failure or after node failover. HANA keeps two types of data in persistent storage: 1) Savepoints, the content of the database memory captured in regular intervals, and 2) database logs, which capture all changes made by transactions. You need to backup the data kept in persistent storage – i.e. creating a secondary data copy – so that you can restore to the last state of the database or to a point in time if needed. This will protect you against logical errors or data loss caused by hardware failures of the persistent storage layer. We integrate with SAP HANA through the SAP Backint API, which is implemented as an agent running inside HANA. The seamless integration allows SAP Basis Admins to continue using their existing SAP processes and tools such as HANA Studio, DBA Cockpit, or HANA SQL, while Backup Admins can use Cohesity for simplified protection of HANA’s data. This integration is SAP certified and will soon be generally available to all Cohesity customers. Protect your data – Protect against logical errors or data loss caused by hardware failures of HANA’s persistent storage layer, and restore to the last state of the database or to any point in time. Accelerate backups and restores – Directly access the HANA database via a fast and multi-streamed pipe to send backups straight to Cohesity. Backups are immediately available for recovery, either to the same or alternate servers. Enhance security and resilience – Encrypt SAP HANA backups in transit and at rest to enhance data security. Enhance data integrity with two-node / two-disk fault tolerance, strict consistency, erasure coding, and replication factor. You can now start to address the mass data fragmentation problem by collapsing your SAP and non-SAP backup silos- whether they are on-premises or in the cloud – into a single Cohesity platform. At the core of Cohesity’s solution is SpanFS, a unique file system Cohesity founder and CEO, Mohit Aron, designed to consolidate secondary storage at web-scale. Run on-premises or natively in the cloud. And most of all, it needs to be built on a web-scale architecture to manage the ever-increasing volumes of data. Collapse silos – Eliminate point solutions for backup and recovery that are complex and expensive to manage. Expand data usage – Do more with your backup data. Accelerate application development or derive business insights from your backup data, including meeting business and compliance requirements. Increase storage efficiency – Reduce your data and storage footprint with global variable-length dedupe and compression. 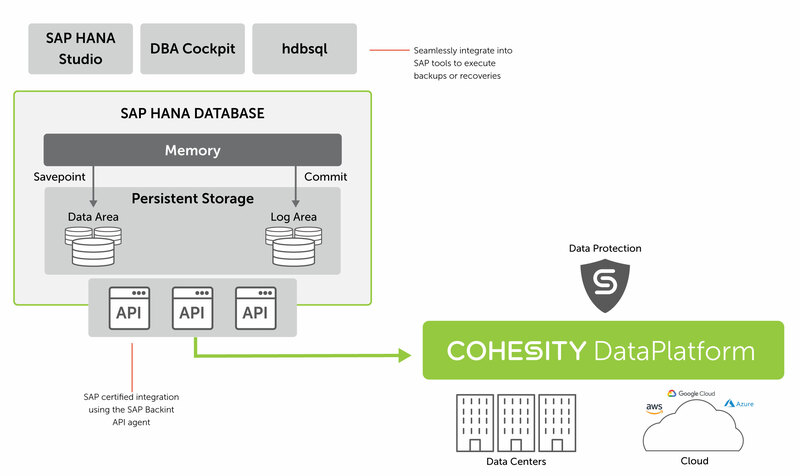 If you want to learn more, check out our SAP HANA solution page and stay tuned to this space to keep up with the latest from Cohesity.